Is Papua New Guinea heading for a crisis? Last year in Papua New Guinea was eventful, marked by a series of controversial government decisions. In March, the government decided to take out a loan of about 3 billion kina (US$1.2 billion, about 8 per cent of GDP) to buy shares in Oil Search. The decision divided the government, and the treasurer was sacked for his opposition to it. Questions over the legality of the decision have led to Prime Minister Peter O’Neill being referred to a leadership tribunal, a mechanism to deal with accusations of corrupt or illegal conduct by the country’s members of parliament. The prime minister is currently challenging that referral in the courts. In June, PNG’s central bank appreciated the kina against the US dollar by 15 per cent. Since then the kina has only been allowed to depreciate modestly. Appreciation of the kina at a time of falling commodity prices makes little sense. Also in June, the prime minister disbanded Taskforce Sweep, the anti-corruption body he himself had created just a couple of years ago, because it levelled charges of corruption against him. Along the way, the prime minister also sacked or suspended a deputy police commissioner and the acting public prosecutor. He continues to fight in the courts the issuance of an arrest warrant consequent to the recommendations of Taskforce Sweep. Whatever the outcome of the case, the prime minister’s anti-corruption credentials are in tatters, and the rule of law in Papua New Guinea has taken a battering. In October, the central bank indicated that it would act as a buyer of last resort for government bonds, a risky move in the direction of printing money. And then in November, the government brought down a budget which was more restrained on the expenditure side than those seen in recent years, but which failed to lay out a credible fiscal adjustment path to bring down high deficits and rising debt. One positive development in 2014 was the resurrection of legislation to establish a sovereign wealth fund, progress towards which had been delayed for the past two years. Unfortunately, however, the need for a sovereign wealth fund in this resource cycle seems to have disappeared with the collapse of oil prices. 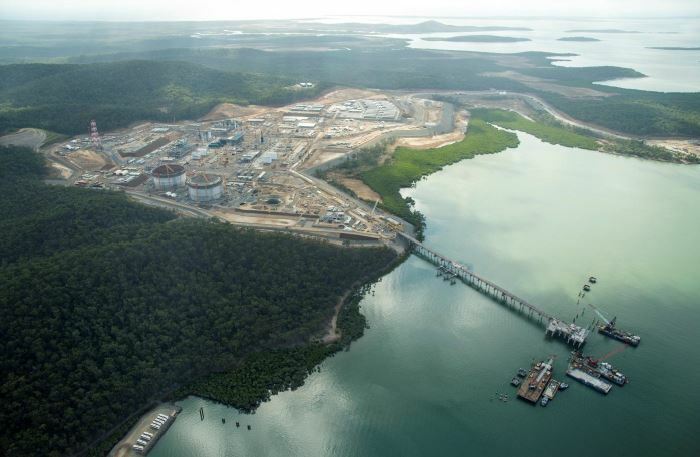 The timing of this could not have been worse for PNG, with its liquefied natural gas (LNG) project coming on line in the second half of 2014, ahead of schedule. LNG prices are linked to oil prices, and with oil prices currently nearly half the level of the budget assumption of US$90, the revenue from the PNG LNG project will be much less than expected. This will have, as my colleague Paul Flanagan pointed out at the end of last year, major negative impacts on the budget, on GDP growth and on the balance of payments. At first the government responded to Flanagan’s analysis with the counter-claim that LNG prices were in fact fixed by contract. Since then, however, it has acknowledged the severity of the problem, with the most recent statement by Prime Minister O’Neill indicating that the impact of the oil price fall should ‘not be underestimated’ and that ‘hard decisions’ may be needed. Clearly, the central bank needs to allow the exchange rate to depreciate significantly. And the government needs to cut spending. Both should be possible. In particular, there has been incredibly rapid expenditure growth over the last few years, so finding savings should not be difficult. Politics could be the constraint. As of this month, the prime minister is no longer protected by constitutional provisions which, as amended by the parliament in 2013, prohibited a vote of no confidence for the first 30 months of the government’s term. Elections in 2017 are no longer that far away. The political scene may also be destabilised if the prime minister is forced to stand down as a result of one or both of the two cases now pending against him. If politics gets in the way — and if the exchange rate is not allowed to fall, and expenditure is not cut — then PNG’s economic problems will worsen. Reports of foreign exchange rationing and government cash flow problems will intensify. In the medium term, we could see the emergence of high interest rates and inflation, and the depletion of PNG’s foreign exchange reserves. In sum, this year will either be a year for tough decisions in PNG, or it will be a year of descent towards crisis. A recovery of oil prices is an unlikely way out. Politics will tell which way the country turns. This post was first published at the East Asia Forum and in the Australian Financial Review. Stephen Howes is Professor of Economics at the Crawford School and Director of the Development Policy Centre, The Australian National University. I think that our country is bankrupted by the O’Neill government…..I feel sorry about the future of PNG. Indeed the government needs to make tough decisions. It really needs to consult the senior bureaucrats and the advisers to obtain valuable higher level advice and be willing to work within the parameter of the advice they provide. If it has been paying no attention to their advice in the previous years decisions then it’s time now that they rethink this strategy and capture the advice and comments to make better decisions for the nation. It is also worth noting that a collapse in the value of the Kina is also not a great outcome. Inevitable, perhaps, but it will result in high inflation and increased poverty and directly impact the poorest in society. Those with a long memory will recall the harsh effects of the devaluations in the 90’s at the time of the former structural adjustment programs. Back then there was a bit of a cushion in terms of the aid program but this time around even that will be cut back. Tough decisions indeed, and not just for the Government.